GPS, that's a great deal of money. If you had a choice now, would you pay for a Sat Nav by Toyota or use a TomTom (not sure where it could be placed on the dashboard?) ? I have both. Like others, I really like the neatness of the integration. However, if I go anywhere with the likelihood of heavy traffic or somewhere I haven't been before, TomTom is the one I use. It's far more up to date and the traffic info updates much faster. Having said that the Toyota system has better Point of Interest. 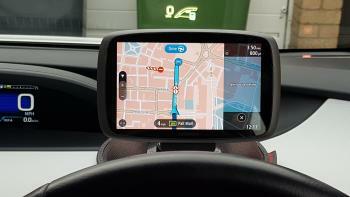 My free Toyota map upgrades finish at the end of this year and at £119 per year (or £199 for three years) compared with TomTom's £14.99 yearly cost (on my Android phone) mean that TomTom will be my only navigation system. As others say, integration in the dash looks neat but it is said when an update comes out not only is it pricy, also it’s out of date somewhat. Not tried all it’s features yet so can’t fully judge. 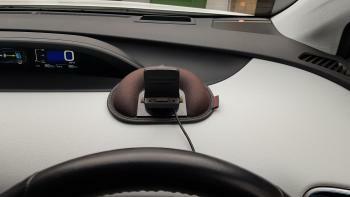 i have a TomTom, comes with free updates for the life of the software (as do other makes like Garmin), but you have to put up with a usb cable and a stand on the dash for the unit. Go on eBay and search for stands/holders, There are bean bag type things that has some weight and won’t move except if violent braking etc. If you want to use a mobile phone as a sat Nav, there are small cradles to do the job. Alternatively, take a look at the hardwired Brodit mounts. Tailor made for car makes & models. I'll endorse the Brodit mounts also. They are excellent. I have one for my Google Pixel 2 XL. Perfect fit and installation. The Brodit mounts look very good. But how easy is it to fit? The baseplate looks like it sticks on? Really easy to fit. They clip between the air vent and the dashboard plastic. The sticky bit is just to give it some added strength. Great. I would prefer an expensive TomTom compared to an expensive built in GPS which is expensive to update unless anyone can convince me otherwise. Many thanks for the mount advise. I presume the mount can also be removed easily when leaving the car? I haven't tried removing the mount from the Prius yet but my previous cars (Focus, Fiesta, Vectra, etc.) were all quite east to remove and left no signs that they had ever been there. I've no reason to believe that unclipping the mount from the Prius would be any different. The newer Toyota sat nav’s are upto the job compared to older versions. Before my present car, I had used both a TomTom device and then a smartphone. The cheapest option is the smartphone, but needs to be on charge. The TomTom type device still needs plugging in. It’s more of a convince / cost battle. The built in is more expensive and is always lagging behind with updates, but no cables. The other 2 you have the option to place the device where it suits you best. Thanks Anthony. The cable is not my main concern. The updates and how good the satnav is, in use is. My TomTom is very good, easy to update and as long as can mount it, probably is the best option. £700 they are having a laugh. Stick to a standalone sat nav with free lifetime updates. I like the sat nav as it can placed in driving vision instead of looking down into the middle bit of dash screen. I find looking down dangerous. No need to look down, the voice instructions are good enough, came as on a TomTom/garmin etc. And on the Prius the direction come up on the windscreen. Another option is the TomTom Beanbag mount (about £25).﻿ It sits nicely behind the steering wheel just below the HUD display. I leave it permanently connected to the lighter socket, and by looping the cable round the steering column, running under the heater switches and along the left side of the central tray it doesn't look very obtrusive. The TomTom switches itself on when dropped onto the magnetic base and turns off when removed or if the engine is turned off. 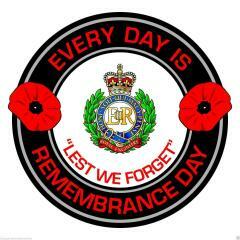 No need to stick anything to the car, and when removed leaves no visible sign of SatNav use. It's a fairly heavy semicircular pad with a flat area at the front centre for the suction mount. The underside is very tacky, and grips well on my Gen 4 Prius. It does come with an adhesive hook (with an alcohol wipe to clean the surface) that's meant to be bonded to the dash and a loop of material on the beanbag hooks over it to stop the beanbag sliding off, but I haven't bothered with that. So far, it hasn't budged an inch with my 6" screen TomTom attached, even under heavy braking. If you are interested in the mount and order it from TomTom, signing up to Topcashback and jumping to TomTom's site from theirs will net you ﻿½%﻿ cashback (as at 15/1/19 - has been up to 4﻿½ on occasion). If you wish to use this, you can join here http://www.topcashback.co.uk/ref/petemb and get me a small bonus! I wouldn't waste money on a built-in satnav solution - they go out of date and the map updates are ridiculously expensive. Even worse for me as we get no live traffic in Ireland, whereas Google Maps or Waze do (and are free). Toyota need to get their árse in gear and provide Android Auto/Apple CarPlay support in their headunits. I just use my phone with a windscreen mount, and the Battery life is so good on my OnePlus 5 that I've never needed to plug it in while driving so there are no cables. I absolutely agree, but since they were 20 years late with heated mirrors and at least 10 years late with electric folding mirrors, I'm not holding my breath. When the Hybrid System was launched in 1997 it was so advanced (and still is very impressive) so it's hard to understand why Toyota are so backward in some other areas (an electric heated front windscreen would be welcome too). It's interesting to see the differences between Toyota North America (where CarPlay [albeit in a totally different infotainment system] & heated front windscreens are available) & Toyota Europe. Obviously they are playing to what they see as regional differences in priorities/tastes & no doubt legislation/patents etc.. I know that Toyota have/have had concerns re. Google & data usage hence why no Android Auto integration atm. And elsewhere in Europe too - we (UK) didn't get heated mirrors on the Prius until the Gen 3, but Gen 1 & 2 got them in places like Portugal (where an owner on the Yahoo Prius group said he'd never ever needed them! Don't you worry about thieves leaving it connected permanently? I am amazed it doesn't slide around either! I wish the tom toms lasted like my old go 300 did, that had a big Battery, so you didn't have to bother plugging it in most of the time! I wonder how long the tom tom 6200 lasts if you reduce the brightness a bit?! Steven, is that with or without the brightness dimmed.